Crikey. It’s the Marshall hide-n-sleep alligator. 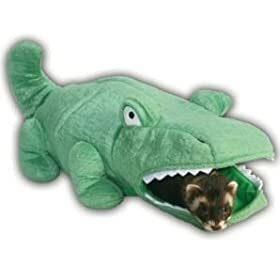 This great interactive toy will give you hours of watching pleasure as your ferrets bring this alligator to life. Fantastic item for pet rats too!